ScotRail today announced a massive expansion of its Flexipass ticket – meaning that shift workers can benefit from discounted rail travel in more parts of Scotland. Flexipasses – where people buy 10 single tickets that can be used over one month from the first date of travel – offer the flexibility required by people who work irregular hours or shift patterns which mean that a season ticket is unsuitable for them. Typically, a 10-journeyFlexipass costs the same as nine single tickets. Prior to today, Flexipasses were only available as paper products. People can now buy their Flexipass at home, load them onto their smartcard and travel on 28 routes. Changing how customers buy tickets and giving them flexibility is a major benefit offered by Smart ticketing. It has taken a huge infrastructure project involving eight suppliers delivering mobile device and back office upgrades to deliver this technology across the Scottish rail network. As a result, 60% of all ticket types will be available on Smart in 2017, signalling the move away from paper ticketing. Popular off peak single, day and period returns are also available on the system and more customers are being encouraged to convert from traditional paper tickets to Smart. A benefits package – offered in partnership with key high street brand names – where season ticket users can get a bit more value for money from their Smartcard journeys is also now in place. “These new smart Flexipasses are great news for the tens thousands of people who work shifts and irregular hours across Scotland. In the past people would have had to buy single tickets for each journey they made – or bought a season ticket that they didn’t get the best value from. “Now they can load tickets on their smartcard and use them when they need to. It is a huge step forward in our efforts to transform the way people travel in Scotland. 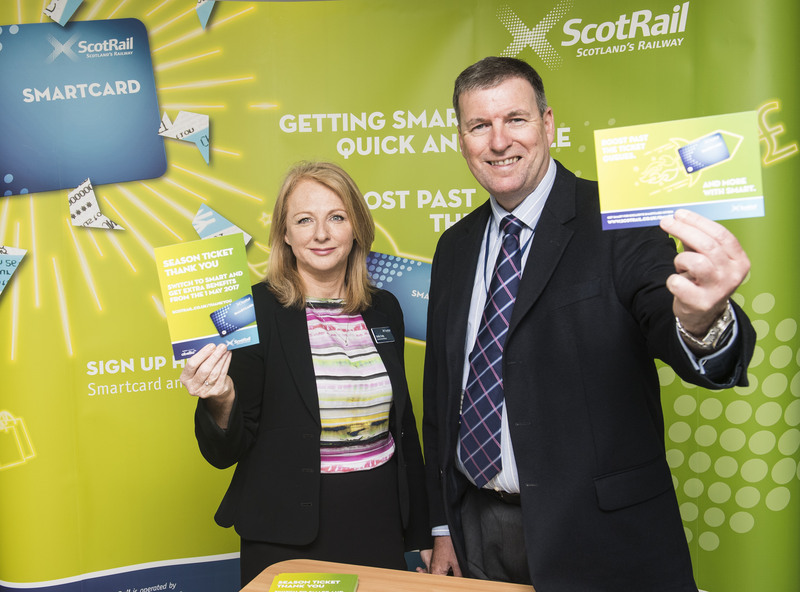 “Our queue-busting Smart cards are now available for every route in Scotland and already thousands of people are enjoying hassle free travel through our stations. Over the course of the next few weeks we will be launching even more Smart products.